Ingredients: Aqua/Water/Eau, Sodium Laureth Sulfate, Cocamidopropyl Betaine, PEG-4 Rapeseedamide, Polysorbate 20, Phenoxyethanol, Parfum (Fragrance), Sodium Chloride, PEG-18 Glyceryl Oleate/Cocoate, Sodium PEG-7 Olive Oil Carboxylate,Benzophenone-3, Glycerin, Benzoic Acid, Dehydroacetic Acid, Curcuma Longa Root Extract, Ethylhexylglycerin, Cannabis Sativa Seed Extract, Nymphaea Alba Root Extract, Rosa Spinosissima Fruit Extract, Symphytum Officinale Root Extract, Citric Acid, Dromiceius (Emu) Oil, Sodium Benzoate, Potassium Sorbate, Limonene, Geraniol, Citronellol, Linalool. 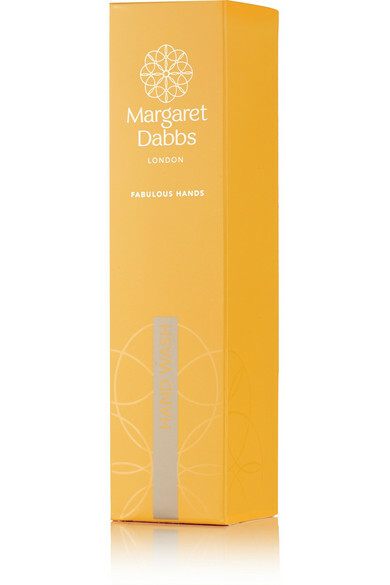 Blended with organic Emu Oil that's known for its anti-aging properties, Margaret Dabbs' moisturizing wash repairs and transforms the delicate skin of hands. It's infused with a soothing Mandarin and Geranium scent for a luxurious spa-like experience at home. 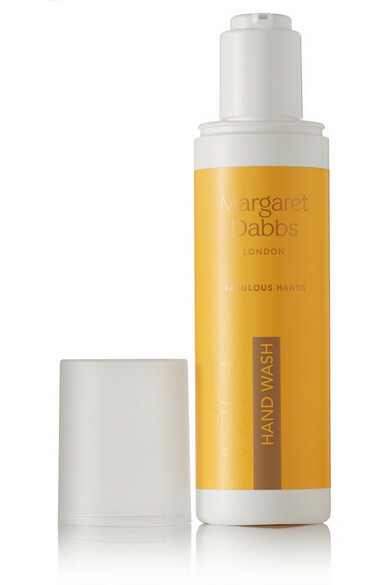 Follow with the brand's hydrating hand cream.